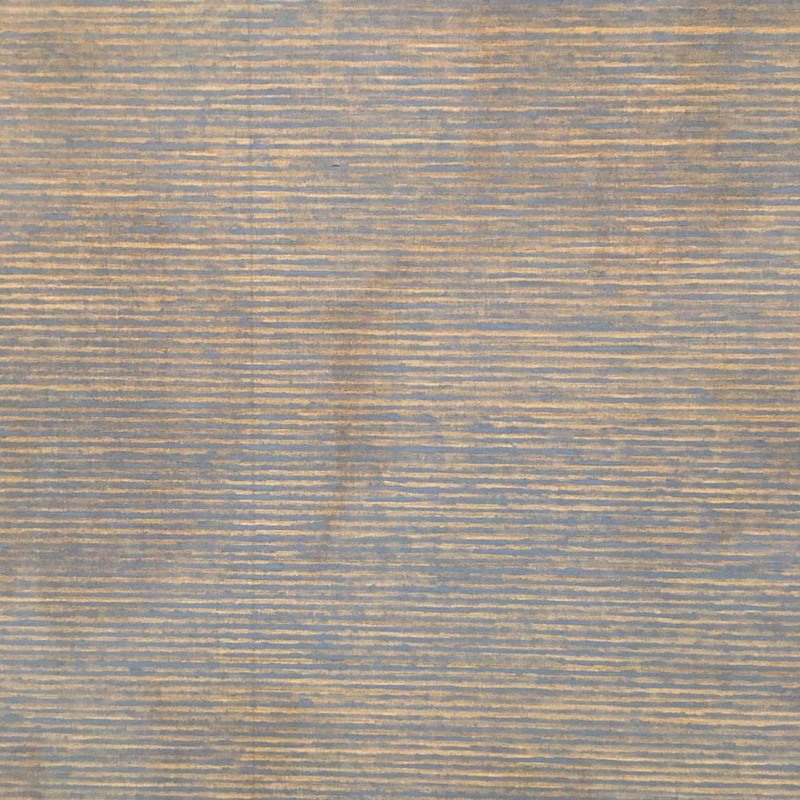 Friendship, 1963, by Agnes Martin. Gold leaf and gesso on canvas. Guggenheim Museum, New York. 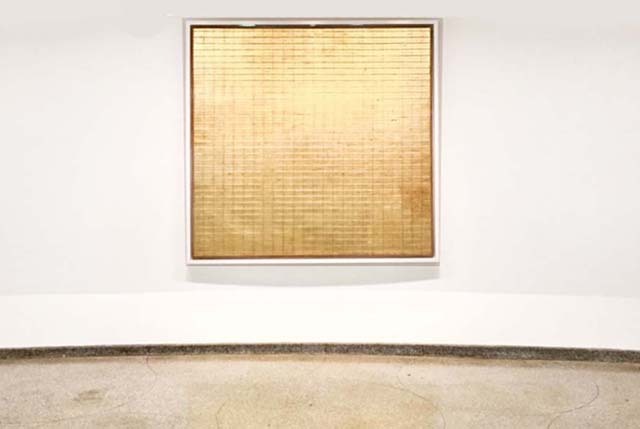 The Agnes Martin exhibition at the Solomon R. Guggenheim Museum in New York is a comprehensive survey of the artist’s career from the 1950s through the early 2000s. Previously shown at The Tate, London and LACMA, the exhibition includes an extraordinary collection of paintings, works on paper and ephemera. Watercolor, ink and gouache on paper. 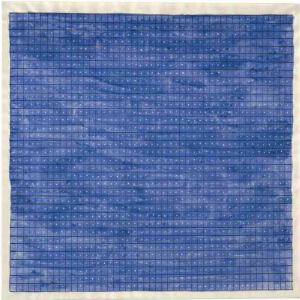 For more than forty years, Agnes Martin (1912–2004) created subtle, evocative striped and grid-patterned paintings influenced by Asian belief systems including Taoism and Zen Buddhism. She was one of the few female artists who gained recognition in the male-dominated artworld of the 1950s and ’60s, and she lived and worked in New York. She moved to New Mexico in 1967 in search of solitude and silence, and continued to make her extraordinary paintings there for over three decades until her death in 2004. Martin’s spare style was informed by her strong belief in the emotionally transformative power of art, and she said that appreciating her work fully requires quiet contemplation. “Anyone who can sit on a stone in a field awhile can see my paintings,” Martin wrote. The utter beauty and ineffable sense of calm created by her work envelops the viewer who takes the time to sit and look. For me, the exhibition was a serene oasis and much needed respite from the political turmoil in the country today. “I would like (my pictures) to represent beauty, innocence and happiness,” Martin said. “I would like them all to represent that. Exaltation.” She succeeded. 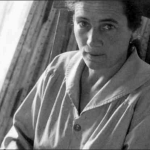 For more on Martin’s life and process, read Holland Carter’s excellent review in the New York Times: The Joy of Reading Between Agnes Martin’s Lines. 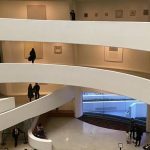 The Solomon R. Guggenheim Museum is located at 1071 Fifth Avenue (between 88th and 89th Streets), New York and is open from 10 to 5 daily. The Agnes Martin exhibition will be on view through January 11, 2017. This entry was posted in Artists, Museum Exhibitions, Museums, NYC and tagged Guggenheim Museum, NYC on 11/27/2016 by Jeanie Craig.